In a little over 3 years this channel has grown from nothing to 200,000 of you! Everybody leaves incredible comments, questions and the community here is so supportive! I’m so impressed with everyone! Thank you so much. Being able to pull back the veil and show you what it’s like to actually make music every day is why I started this channel. All the gear I own was purchased with money I made being a music professional, whether it was as a guitar player, a songwriter, a producer, an engineer, a mixer- That’s how I’ve made my money and built my career! So now I’m able to show you everything that I goes into doing music for a living. 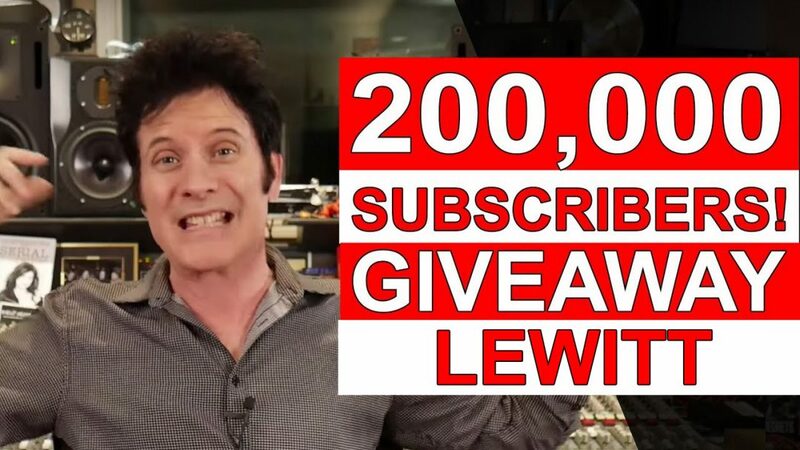 In celebration of us getting 200,000 subscribers, you can win the Lewitt DTP Beat Kit Pro 7! You can download the multitracks from our session at Sunset Sound and try them out for yourself! You all rock! Thank you for subscribing and being an amazing community! You can download the multitracks from this shootout and mix them yourself! More information about the DTP Beat Kit Pro 7 from the Lewitt website!